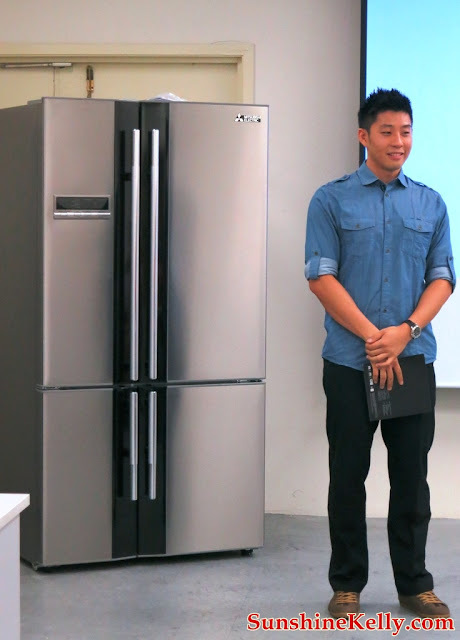 I always hope that I can have a big huge fridge, taller than me and a few times wider than me. So that I can organize all my food and drinks, plus some masks neatly and I can find the items that I wanted at one glance. 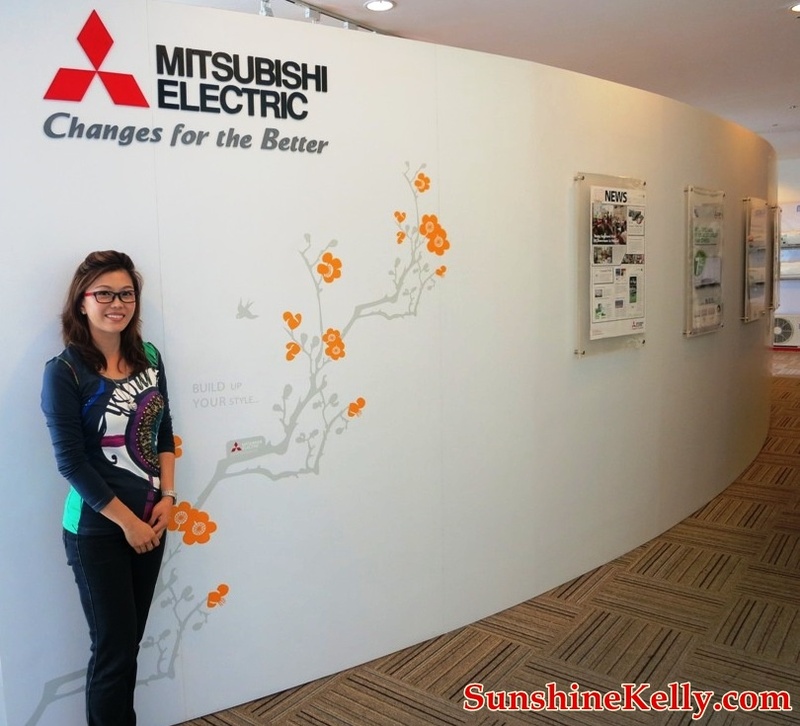 Recently, I was introduced to Mitsubishi Electric L4 Grande Refrigerator. This is the first French Door Fridge from Mitsubishi Electric. It’s available in two cool colours, Stainless Steel and Diamond Black. I like the sleek and chic Stainless Steel colour. It look so cool and the colours can easily match my kitchen design and cabinets colours. The Mitsubishi Electric brand has been in Malaysia for more than 40 years, Mitsubishi Electric products have been in the forefront of innovation and value. The name is associated with exceptional reliability, forward-thinking designs and most of all family oriented household appliances that cater to everyone at home. Fridge is important to me because it keep my food cold and preserved the food from spoiling such as my vegetable, fruits, meat, fish, dairy and even cooked food. It also helps to keep my drinks and facial mask cold. 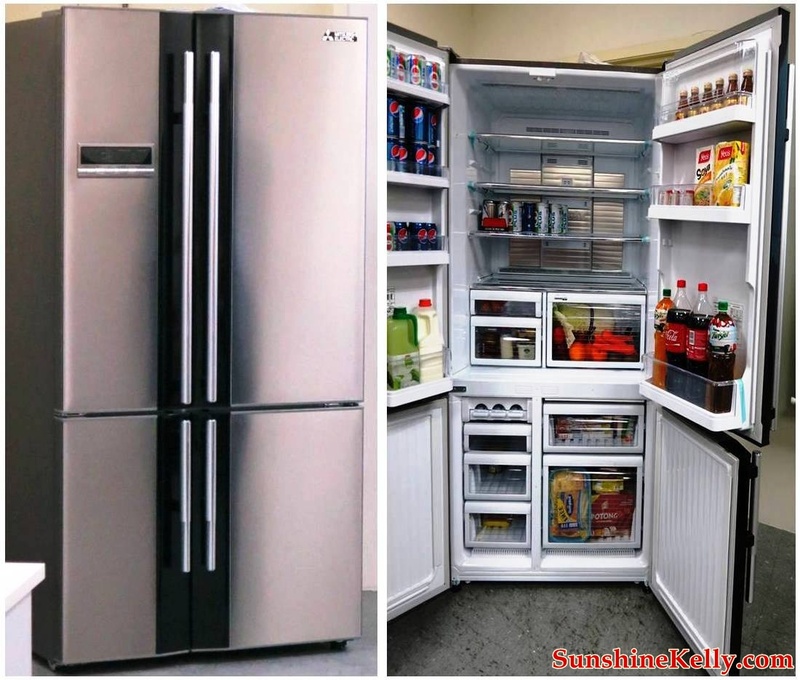 Without fridge I wouldn't have ice-cream or smoothies or even cold juices. I would have to go to the grocery stores, super market or hypermarket daily or often just to buy my fresh food, fruits and cold stuff. Imagine life would be so much harder without refrigerators. They bring good things in life. Refrigerators make life so much easier. 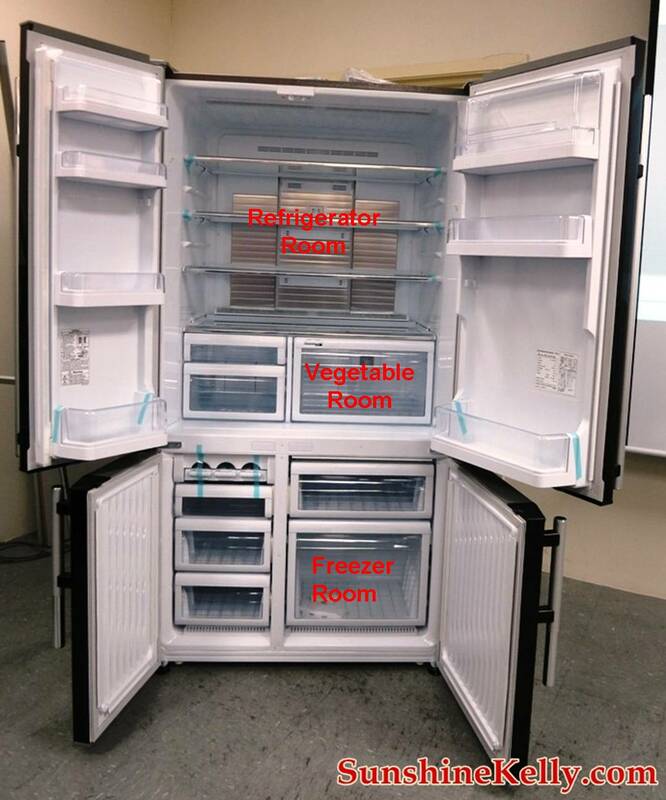 Basically, the L4 Grande Refrigerator is divided into there major compartment which is the Refrigerator Room, Vegetable Room and Freezer Room. I love the Vegetable Room that keeps my salad and fruits fresh and crisp. 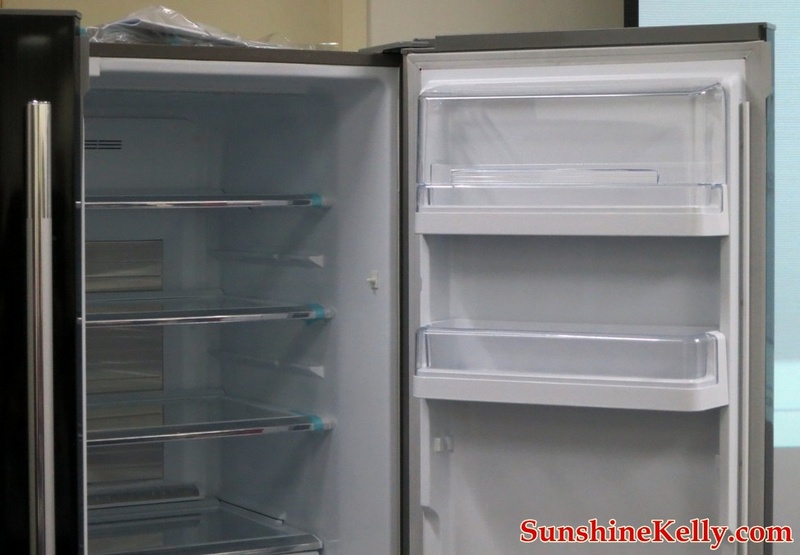 Big Capacity 710L, dimention I like the multi shelves and this fridge has four French doors and t has no divider or center barrier between the left and the right doors. With the measurement of 950mm (W) x 764 (D) x 1820 (H) and weighing 118kg. Easy to Use in many ways plus comes with LED Digital Display modern touch display control panel, Door Alarm dan Door Auto Closer, more space for door handle, adjustable door pocket to organizes the drinks and the capsule door pocket at the top door pocket to prevent the food from falling down. 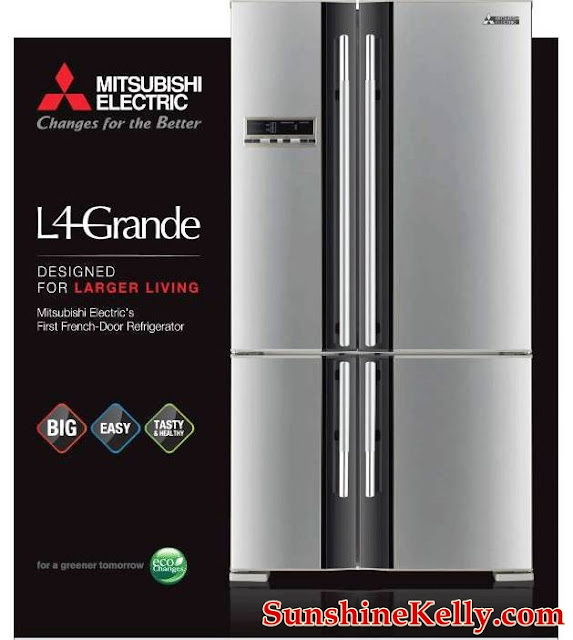 The Mitsubishi Electric L4 Grande Refrigerator is the World’s first Vitamin Increasing home refrigerator. This makes food Tasty and Healthy with LED Sunlight that stimulates the food manufacturing process (photosynthesis). Humidity control keeps vegetables and fruits stay crispier, fresher for longer. Anti bacteria food liner conforms to the Japanese Food Sanitation. The twin fan multi air flow powerful cooling air. Even though the capacity is big but it’s has Energy Efficiency that comes with Eco mode and Scene Adjusted Control. The fridge memorizes the household’s usage patterns. 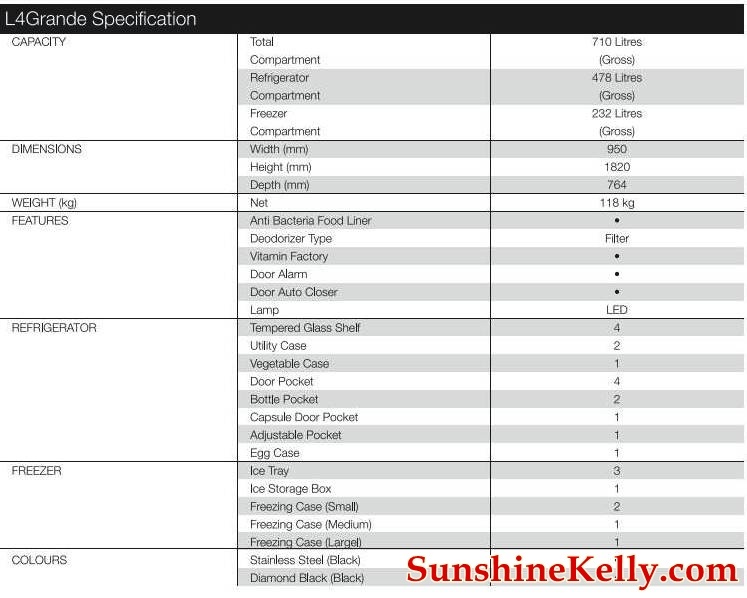 At one look this Mitsubishi Electric L4 Grande has the Luxury Design look. Hybrid, Luxury, Unique and stylish design to match the kitchen. 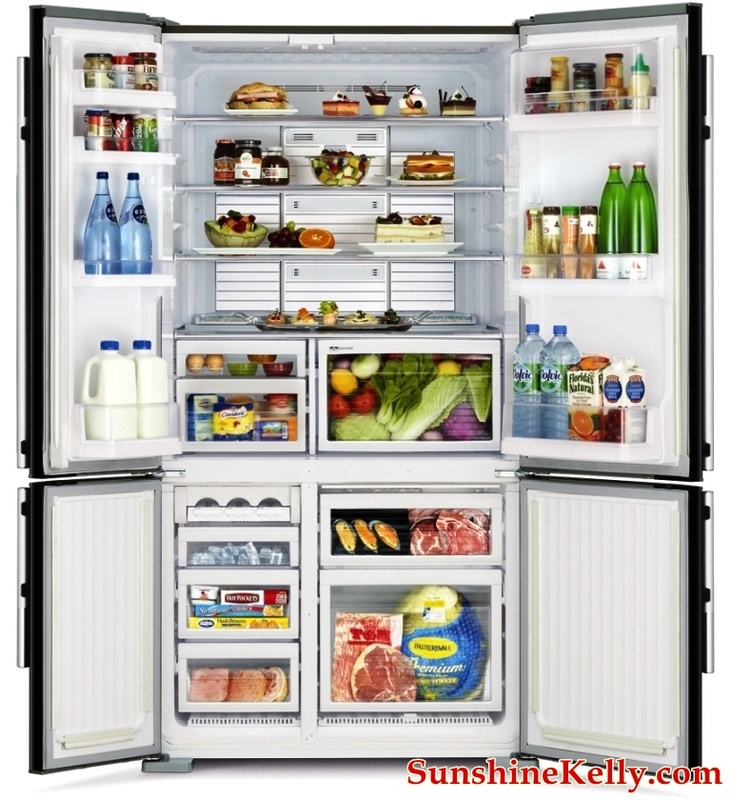 Overall, I find that this Mitsubishi Electric L4 Grande Fridge really spacious and organized. 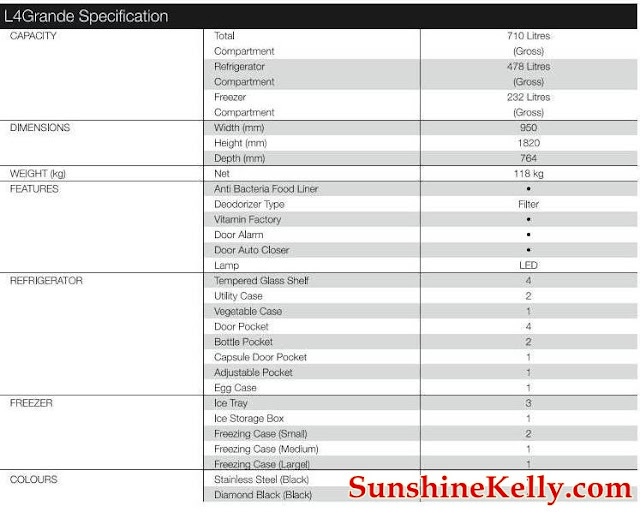 It has many compartments and adjustable shelves with safety features, child lock and energy efficiency. This is a huge fridge!!! Where can i buy this fridge? Nice refrigerator. 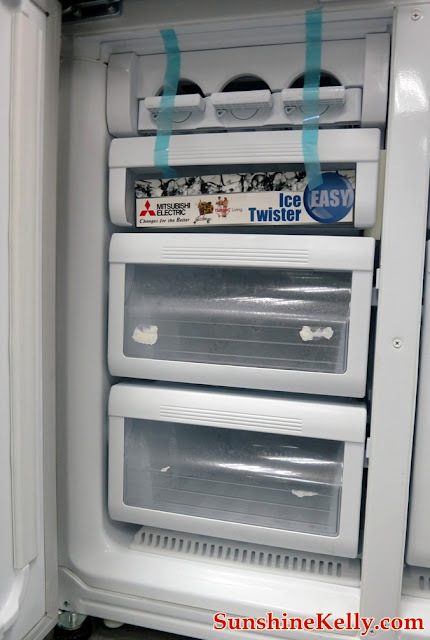 How to get commercial freezer repair services?